Summer is calling, and what more of a perfect time to stock up on some cute denim sundresses for your wardrobe?! This specific little number is sold out, but I’ve linked some of my other current favorites below. Hope this provides y’all with a little inspiration on how to style your denim dress this season! Great look! 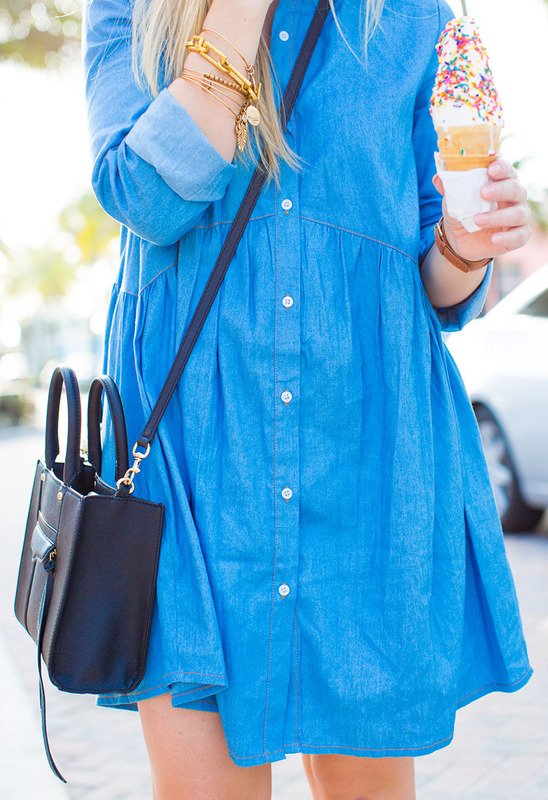 The denim dress is beautiful! I haven’t found a denim dress that I’ve loved this season but this one is just darling! Every gal needs a great denim dress!! 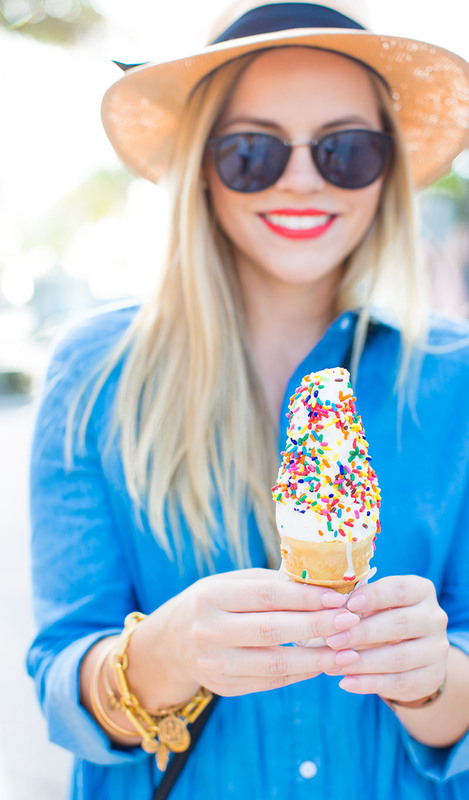 Also, now I want ice cream..LOL. 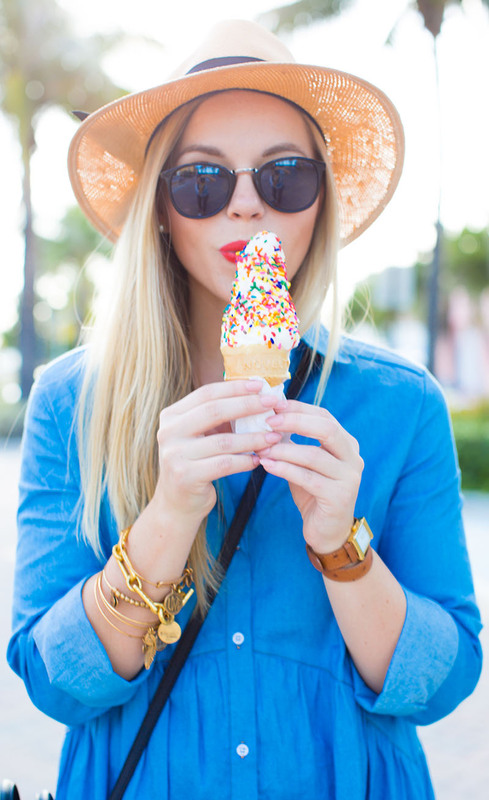 I need some ice cream in my life! Love these photos.